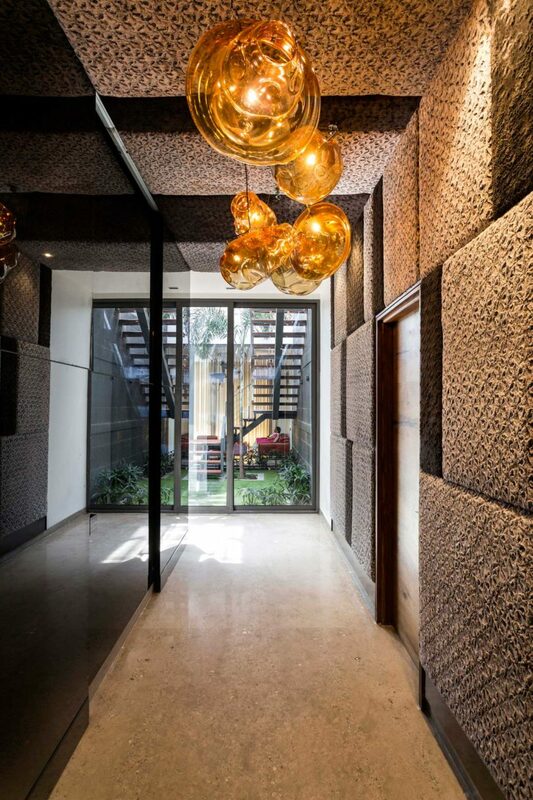 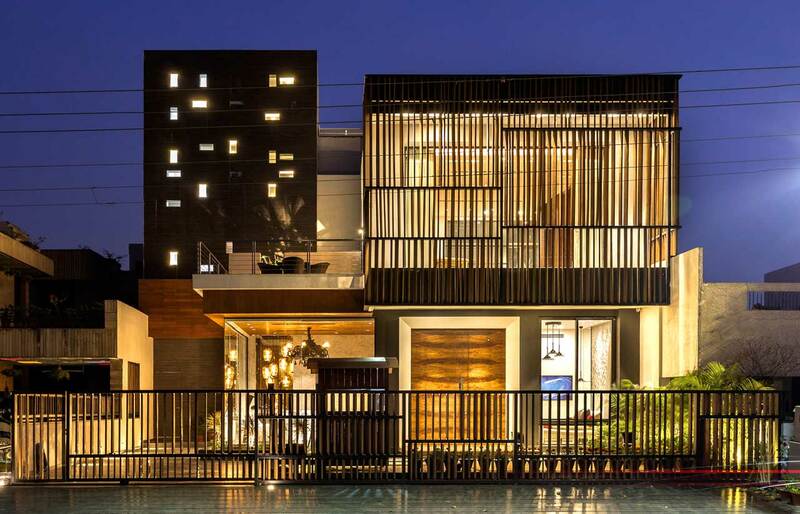 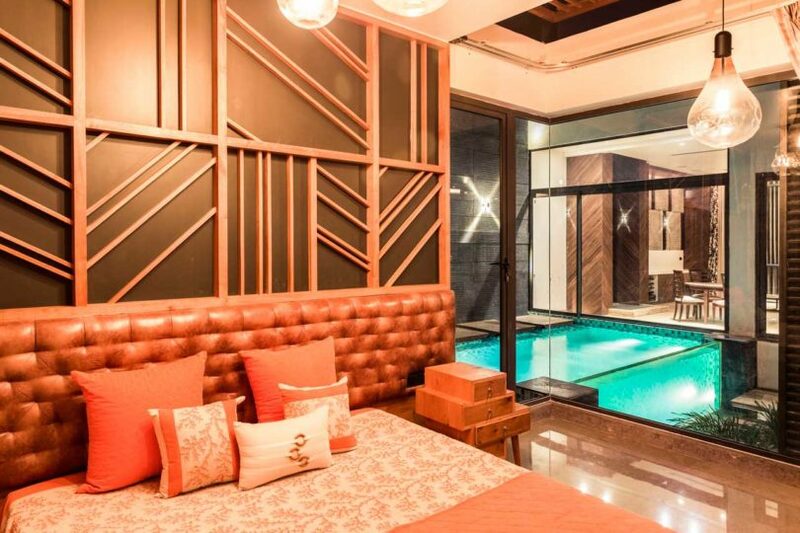 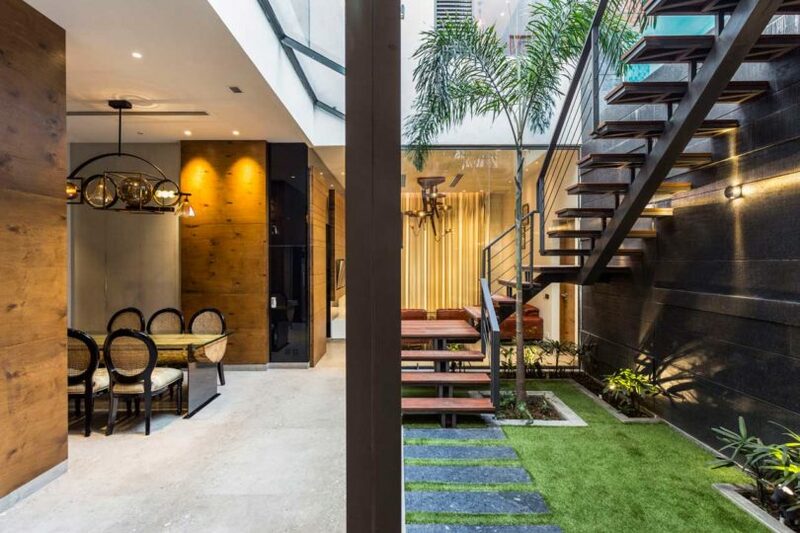 Studio Ardete was tasked with designing a home on a busy road in Panchkula, India, for a couple to relax and entertain their visiting family and friends. 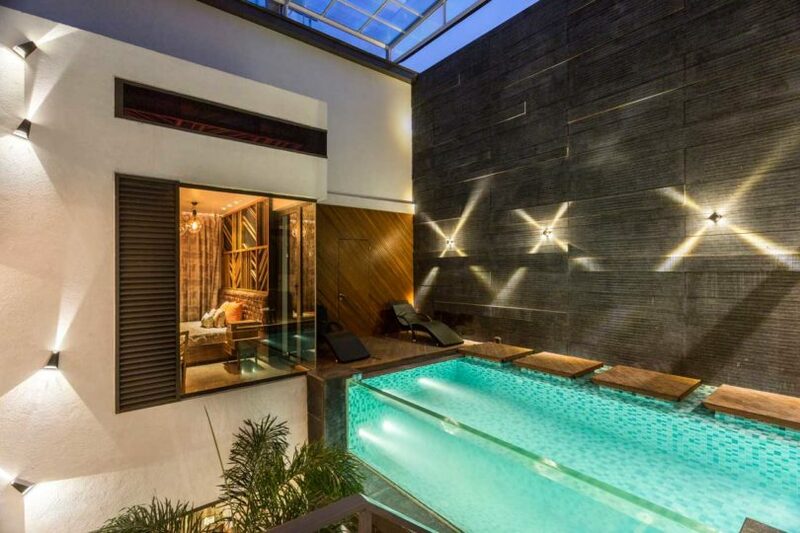 The main focus was to center the Pool Yard House around a courtyard and pool utilizing transparent walls to visually connect other rooms to the space. 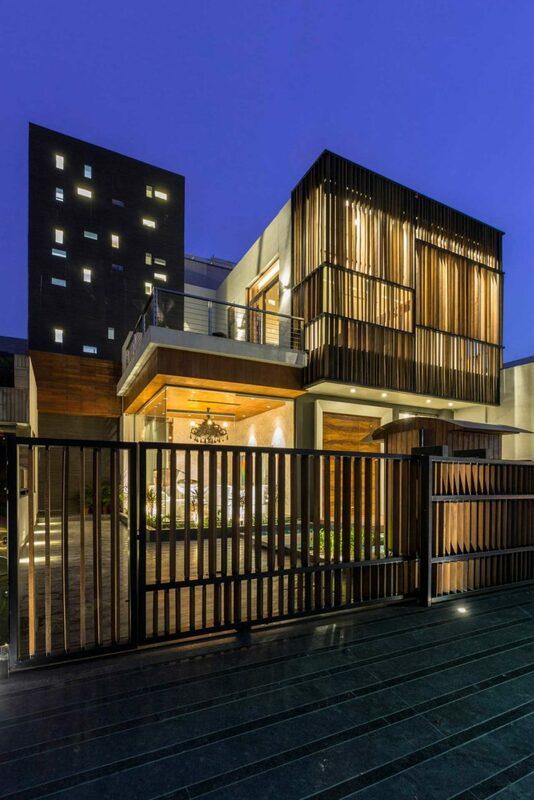 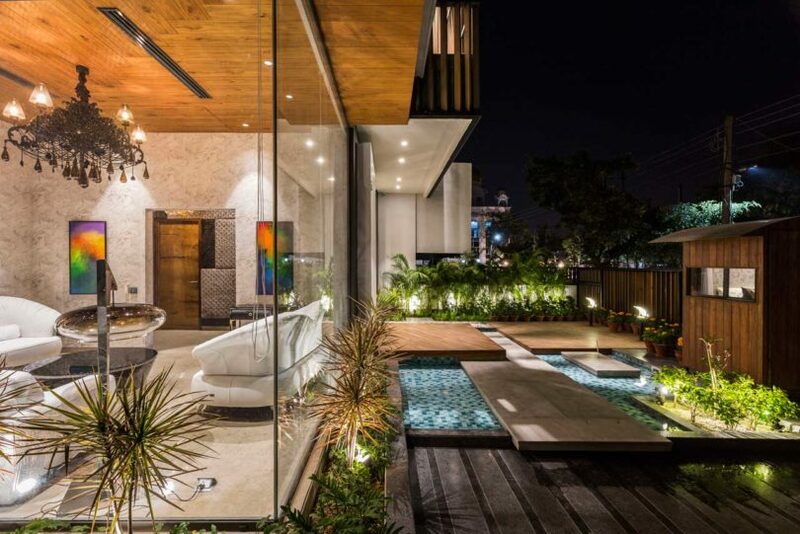 To give the couple privacy from the street, a vertical screen was designed to limit prying eyes while still allowing the owners to enjoy the view. 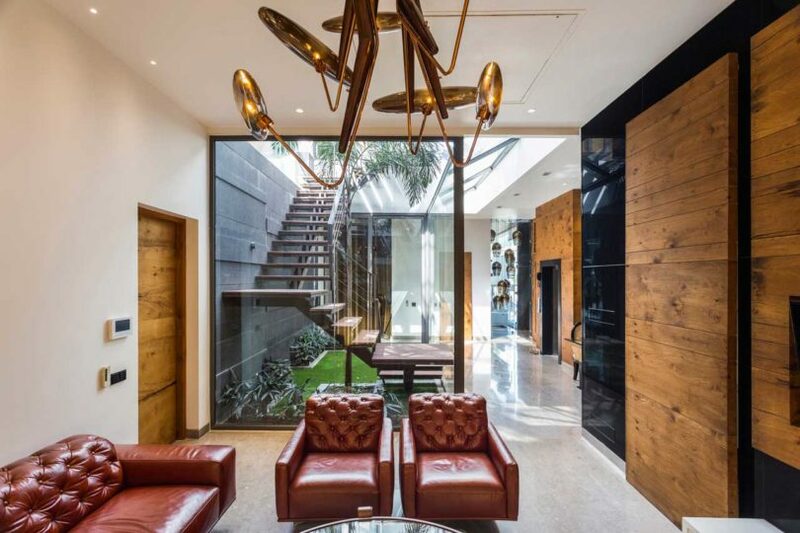 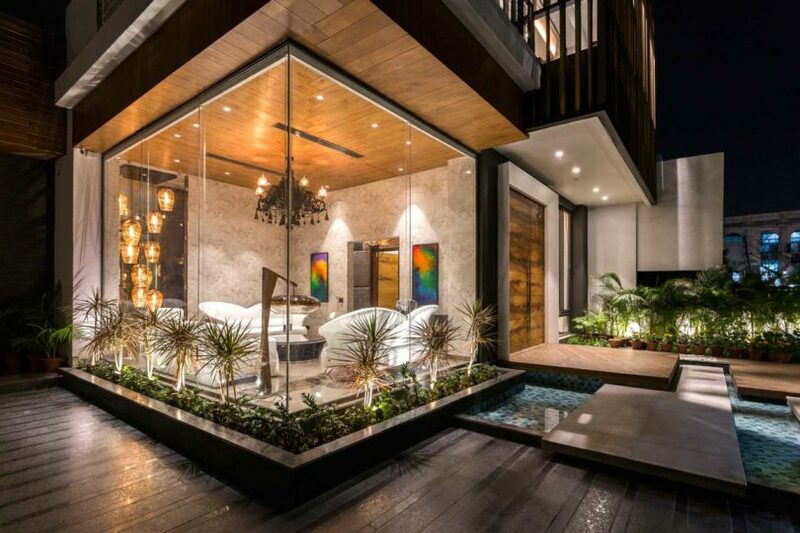 Glass walls, both inside and out, make for a dramatic design while visually expanding the space to make it appear larger. 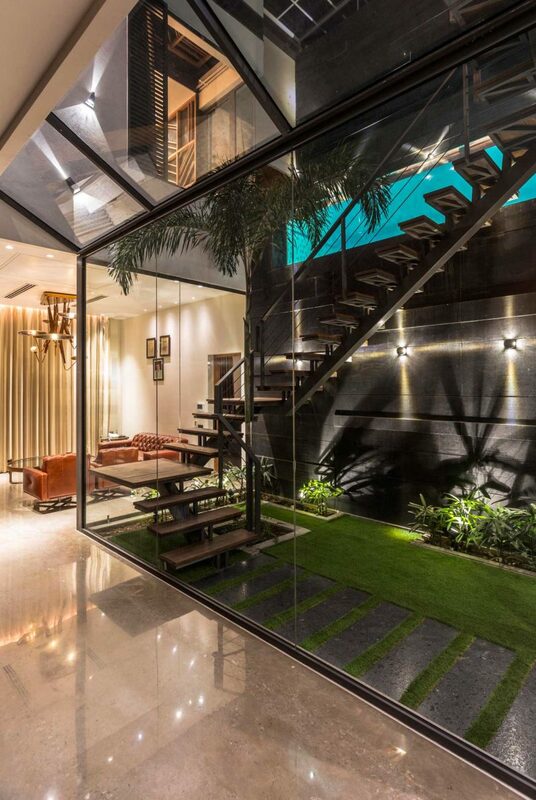 The front sitting room features two glass walls that give the feeling of being outside when the temperature outdoors is too hot or cold. 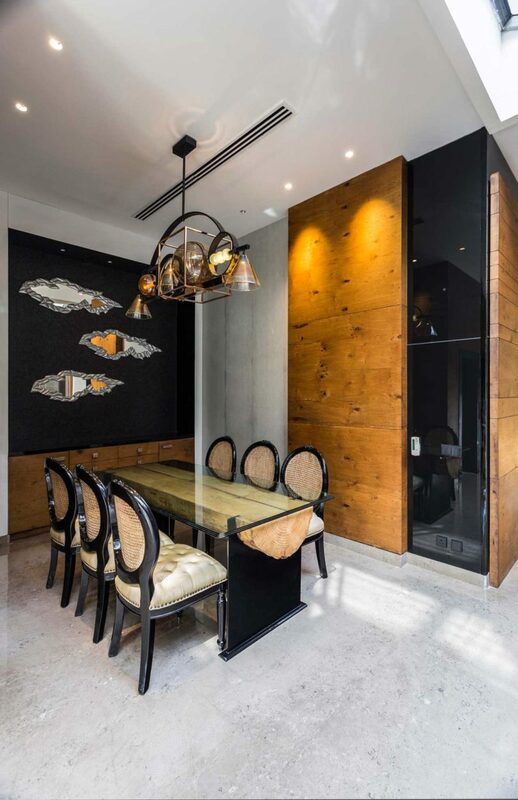 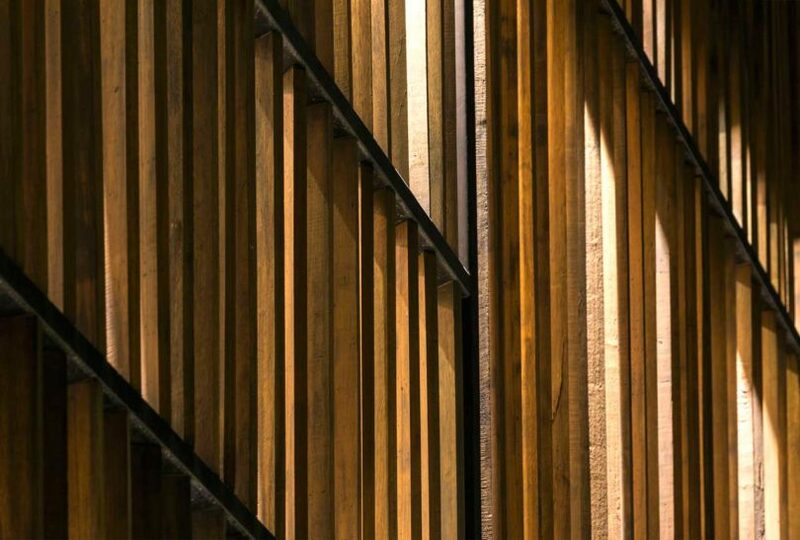 The interior materials include wood and stone for a toned down look, with colorful artwork and bold lighting adding contrast. 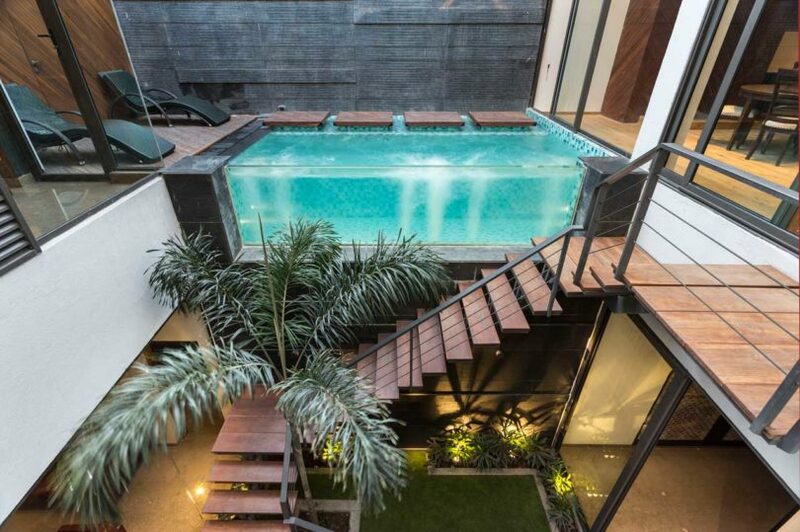 The staircase is enclosed in glass and leads to the swimming pool and first floor. 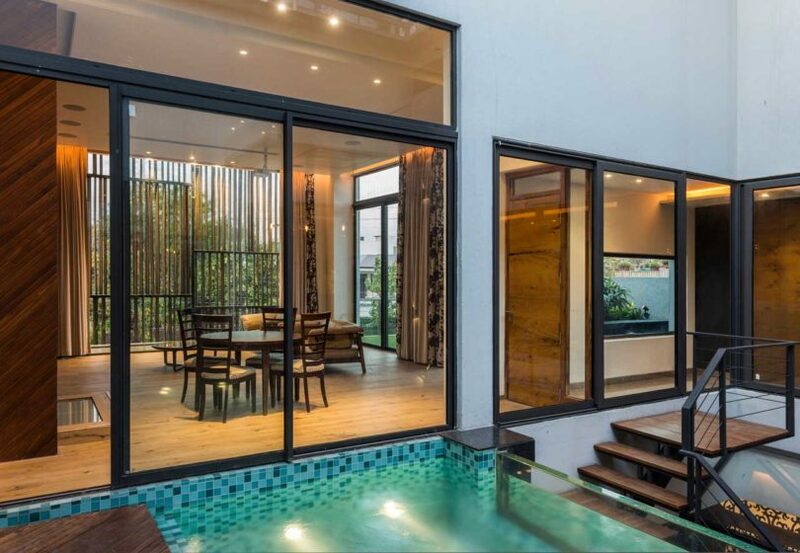 The glass-fronted pool looks as if it’s floating within the courtyard of a tropical retreat.